In Raleigh, child custody determines which parent has the legal right to live with their child or make decisions about their welfare. North Carolina separates child custody into two categories: physical and legal custody. Each type provides you with constitutional rights regarding your child. Physical child custody focuses on where your child lives most of the time. Sole physical custody is the legal right to have your child live with you all the time. Joint physical custody is a shared living arrangement. This means that your child lives with you part of the time and with the other parent the other part of the time. Legal Child Custody Allows You to Make Decisions about Your Child. Legal custody is the legal right to decide how your child is raised. You can’t make decisions like where your child goes to school, the type of medical care they receive or if they go to summer camp unless you have legal custody. There are two types of legal custody: sole and joint custody. Sole custody gives you the right to make decisions about your child without the other parent’s approval. Joint custody gives you and the other parent the power to make decisions about your child’s upbringing. This means you have to work together to come up with a workable solution when both of you don’t agree. Legal custody doesn’t include physical custody. Thus, you can have physical custody, but the other parent may have the right to make decisions about their upbringing. To understand your rights, contact a Raleigh child custody lawyer. North Carolina law doesn’t favor the mother over the father. Instead, the determination is made on what’s in the best interest of the child. Typically, the courts will award one parent with primary physical custody. Thus, the other parent will receive visitation rights. During your marriage, you and your spouse have equal rights to make decisions about where your child lives and how they are raised. However, North Carolina child custody laws can drastically alter those rights. For example, you may receive visitation rights while your ex-spouse is granted primary custody. Even if you were never married to the other parent, it is important to establish paternity and child custody. Child custody can be a complex and emotional issue that a Raleigh child custody lawyer can help you resolve. Daphne Edwards Divorce & Family Law, PC has helped numerous families achieve outcomes in their favor in a divorce or child custody battle. Contact us today. The information contained in this article and throughout this website is correct and accurate as of the date of publication of the content. 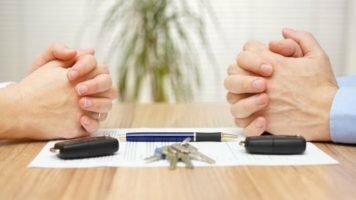 While accurate and informative, the content is provided to help you make decisions in choosing a lawyer to help you through your divorce. You should not rely on this general information as legal advice. Please seek advocacy with an experienced family law attorney in order to gain full understanding of the elements of your family law matter. Daphne Edwards is available for comprehensive and confidential consultation by appointment. Call 919-838-7160 to schedule yours today.